The 14th June 2016 marks World Blood Donor Day and here at RG Group we have pushed forward with promoting the act of giving blood to save many people’s lives around the world. As part of this we also incorporated the promotion of becoming an organ donor. Promotional posters were displayed around the site, and staff were provided with promotional pens and leaflets and encouraged to complete a ‘How much do you know about blood donation?’ questionnaire. 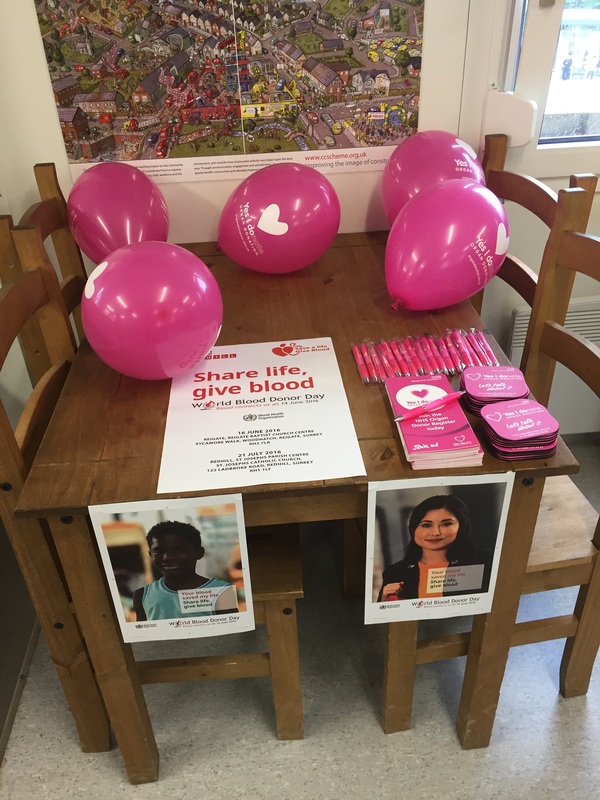 Information about the local donation stations in and around Redhill were passed to all staff if they were interested in popping along and donating blood and potentially becoming a regular donor. With passing on the facts, figures and the benefits of giving blood and organ donation, we hope that we have ‘planted the seed’ in our staff’s head and we will hopefully ‘watch it grow’ to see an increase of donors that can potentially save another person’s life in the future.